I found this material a while ago and have just been waiting for the right project to use it. Yes – the colours are a bit out there, but I think they are fun, lively and will brighten up a bedroom, giving it a pop of colour. 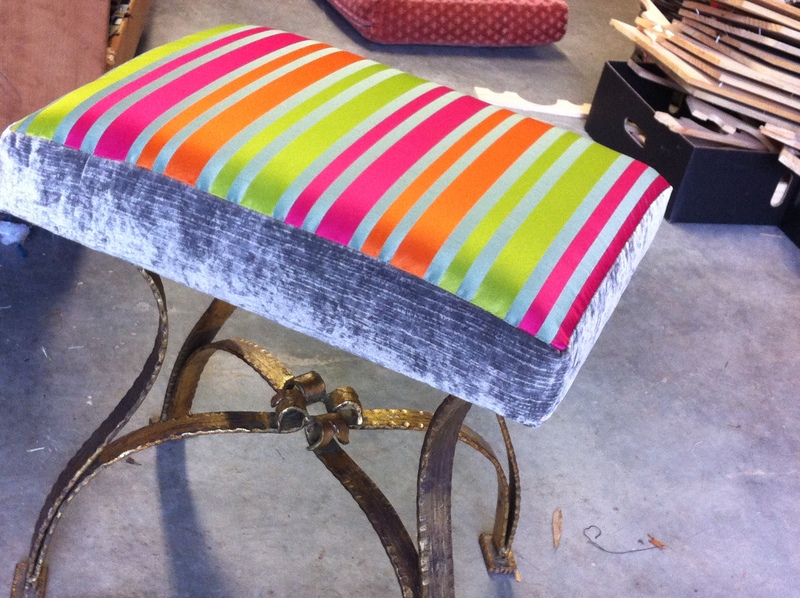 The old stool definitely needed a makeover. 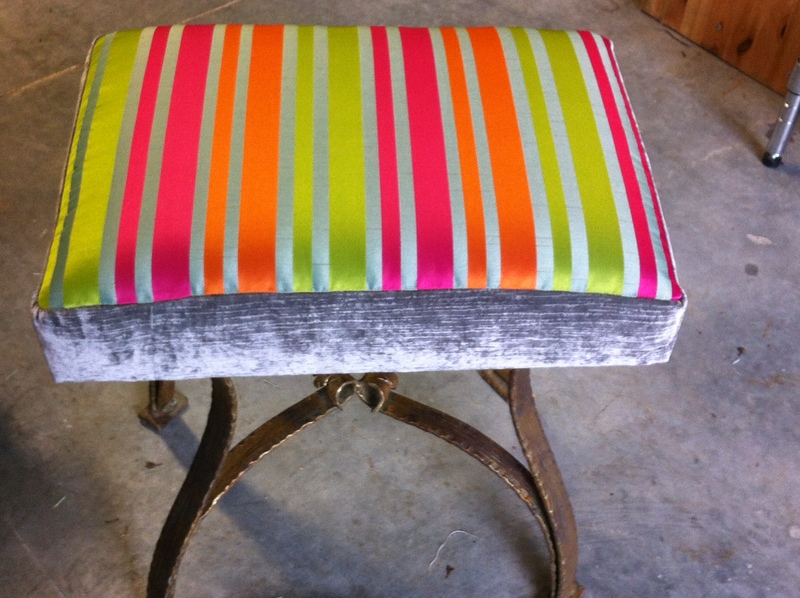 Now to decided whether to change the colour of the stool to an antique silver black or just leave it. 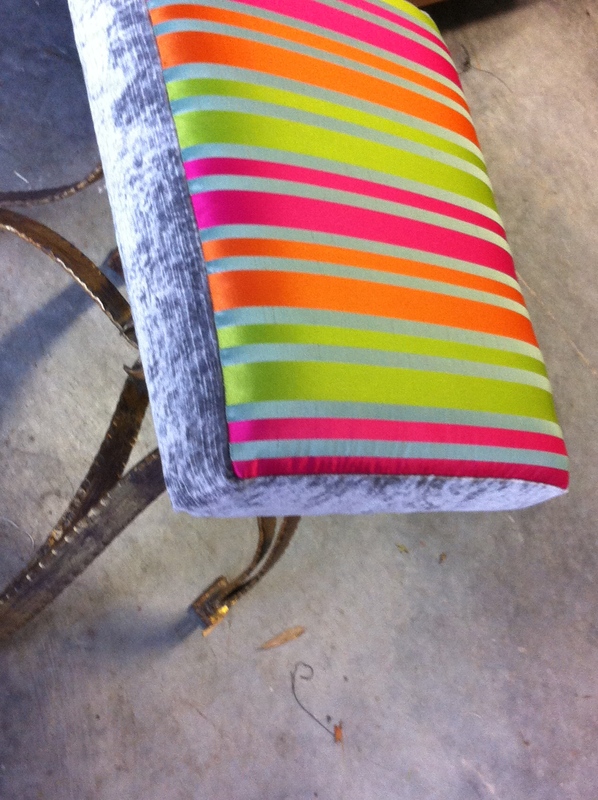 Will have a think, in the mean time I may make some cushions with the grey velvet and stripe. 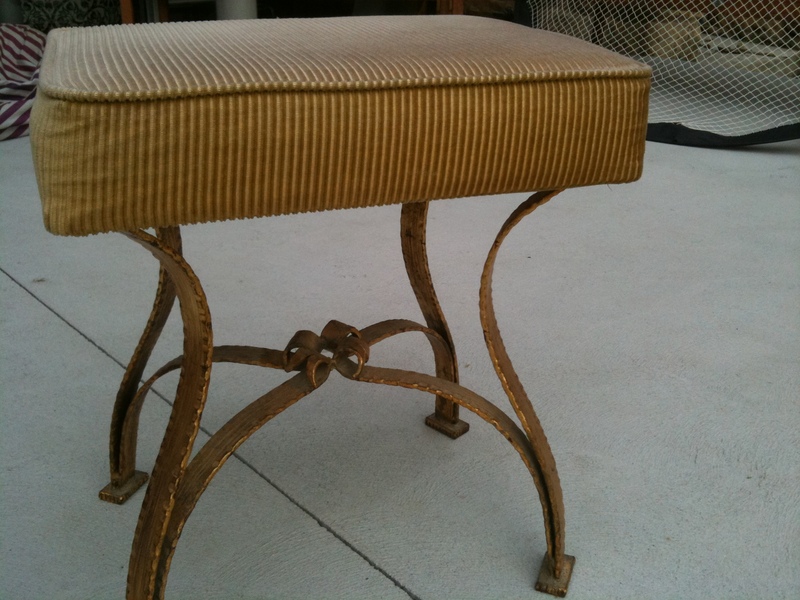 I think the stool legs and frame should remain as is – they set off the new upholstery well. 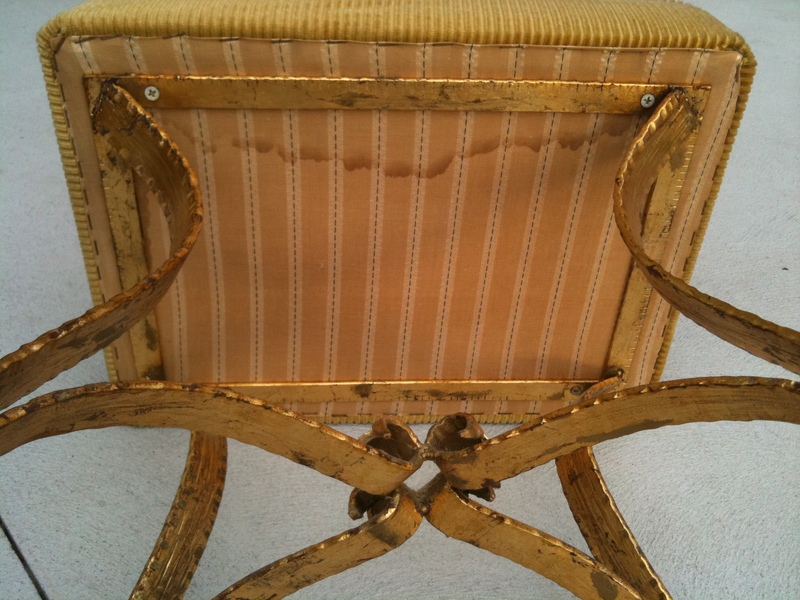 Thanks for that – the old gold frame with all it’s scratches, probably just adds to the charm of restoring an old piece with new material. Gorgeous Lynley and I think black legs will make it even more contemporary. Always good to get another opinion – thanks, I’ll post what I finally do.